Nisbett's Clothiers is so proud to announce our participation in the upcoming Fun Four Hours Summer event. This evening shopping event is taking place on July 27th from special hours of 5 pm until 10 pm. Be sure to check back soon as we will be revealing some exclusive four-hour promotions for our loyal customers. We hope to see you there! New at Nisbett's — Modern Day Pirates Clothing Co.
We are so excited to announce a new partnership with a local, 100% Canadian-made clothing line, Modern Day Pirates Clothing Company. We are the first clothing store in Lindsay to carry this amazing brand! 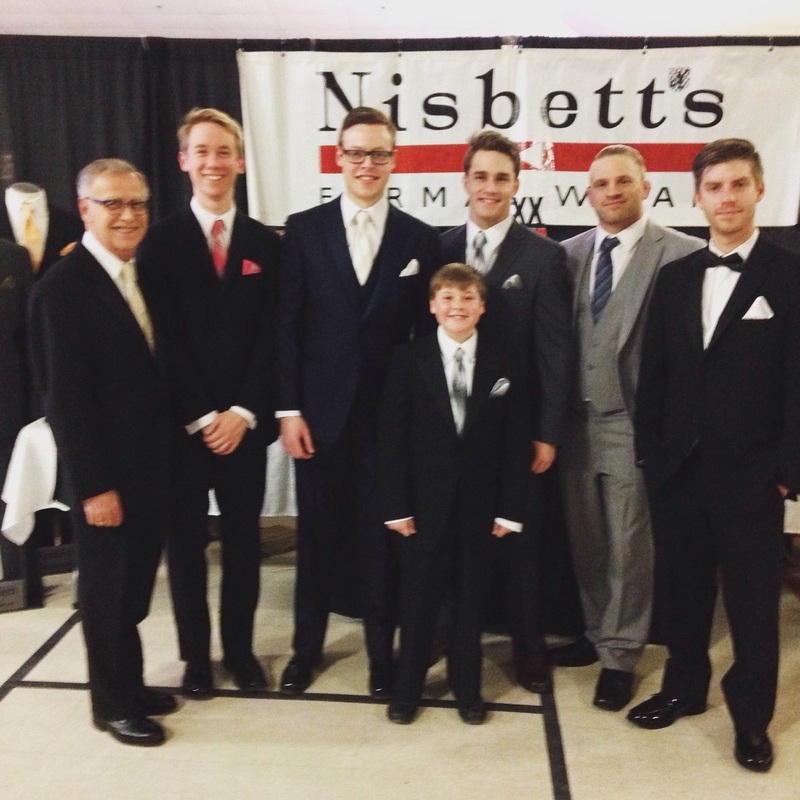 Nisbett's Clothiers doesn't only stock suits and casual wear for men. We also have options for boys. 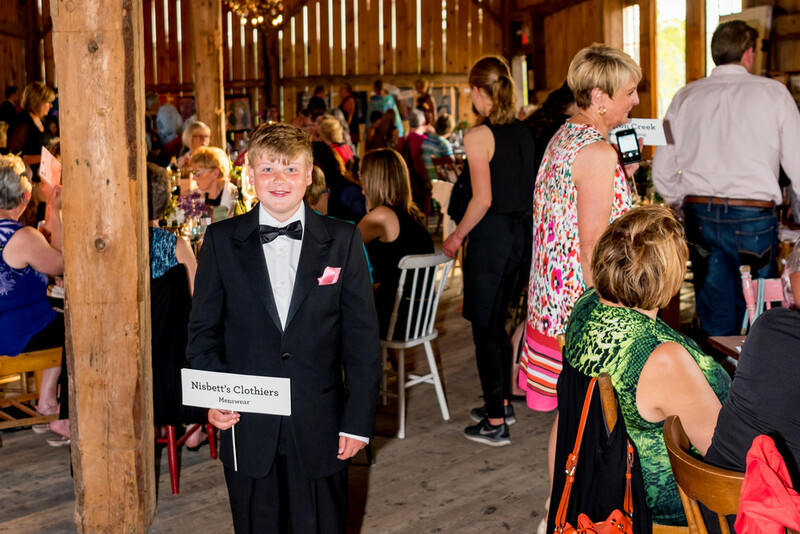 In this great shot, by photographer Anita Bell, you can see one of our boy's suits modelled at a recent wedding. We love how the cowboy boots add a rustic feel. 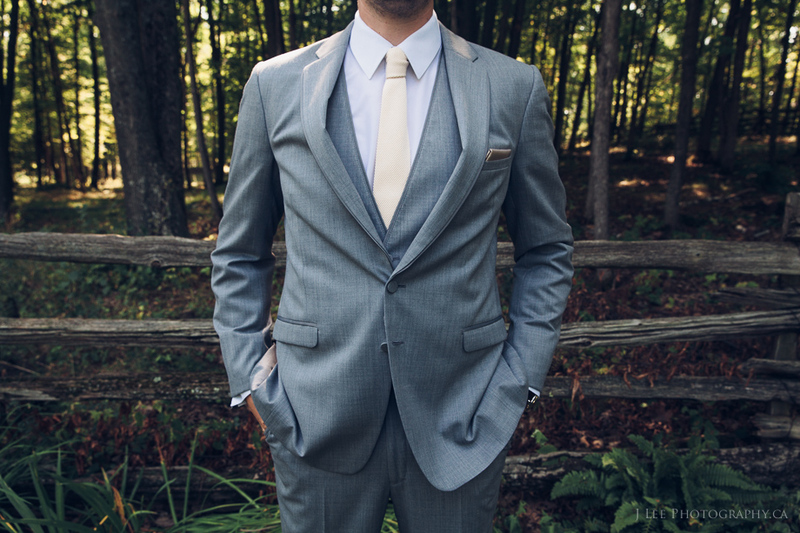 Ike Behar is one of our most popular suit brands. Looking for some inspiration for a big event? We have curated 10 great looks from Instagram. Peacefully surrounded by his family at Extendicare Nursing Home, Port Hope on Sunday September 3, 2017. John, Johnny and Clothier Extraordinaire, founder of John Nisbett's Men's Shop, Life time member of the Sovereign Grand Lodge Independent Order of Odd Fellows and Durham Lodge. President of Lakeshore Shrine Club 1981, Ambassador of Lakeshore Shrine Club 1982-1984 and member of several masonic orders. Loving husband of Mary Rody for 66 years. Cherished father of Debbie (Doug Walker), Donna (Philip Watts), Diane Nisbett, Jackie (Grant Cooper) and Greg (Sally). Loving Poppy of Meaghan (Nathaniel Andres), Rody Walker (Kaitlin), Matthew Watts, Trevor Watts (Ashleigh), Joshua Van Dorp, Justin Van Dorp (Leslie), Jordan Van Dorp, Nicholas Cooper (Alayna), Katie (Nathan Brown), Amy Nisbett (Rod Fairfield), Erin Nisbett, Carley Nisbett (Jordyn Greenham) and Poppy of 11 great-grandchildren. Johnny will be missed by his siblings Marie White, Katherine Smith, Margaret Rose Strickland (Don Hamilton), Tom (Trudy), Karl (Carolyn), Susan (Randy King), Michael (Mary-Lou) and the late Edith Goleski, Doug, Paul, Norman Jr. and David. Brother-in-law of Reni Nisbett, Eddie Goleski and Arlene Pearson. John will be missed by many nieces and nephews. Predeceased by his parents Norman Nisbett Sr. and Helen McGuire. Friends will be received at the Allison Funeral Home, 103 Mill Street North, Port Hope, Friday September 8 from 6-9 pm and at Port Hope United Church, 34 South Street, Port Hope, Saturday from 10 am until time of Memorial Service at 11 am. If desired, memorial contributions may be made by cheque to Sick Kids Foundation or Community Care - Northumberland. www.allisonfuneralhome.com "Loving you always, missing you forever." Voted Best All Around Formalwear and Best All Around Men's Clothing Store in 2017 by the Readers' Select Awards. WE ARE PROUD TO BE CONTINUING WITH THE SOCIAL INITIATIVE FOR PROMS IN 2017, AIMED AT GIVING A PERFECT PROM TO ALL STUDENTS. THIS PROGRAM, IN PARTNERSHIP WITH THE LOCAL HIGH SCHOOLS, WILL AWARD FREE TUXEDO RENTALS TO DESERVING STUDENTS, SELECTED BY THE STAFF OF THE SCHOOLS. FOR EVERY 10 TUXEDOS OR SUITS RENTED, THE ASSOCIATED SCHOOL WILL BE AWARDED A FREE RENTAL. We believe all students should be given the opportunity to look their best on their prom day! We invite you to share this initiative and help positively impact student peers in your community. 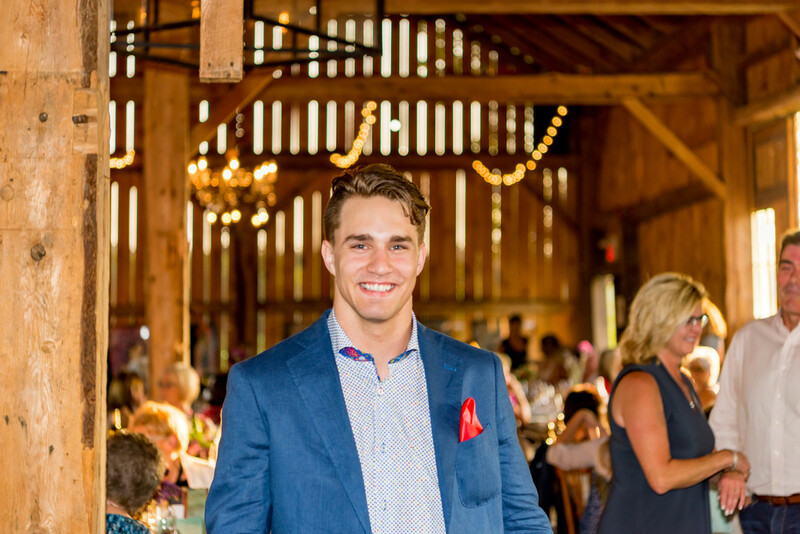 We recently attended Fashion at the Farm; a style-filled evening with food, drinks and laughter, held at the beautiful South Pond Farms, "Nestled in the rolling fields of Bethany Hills". 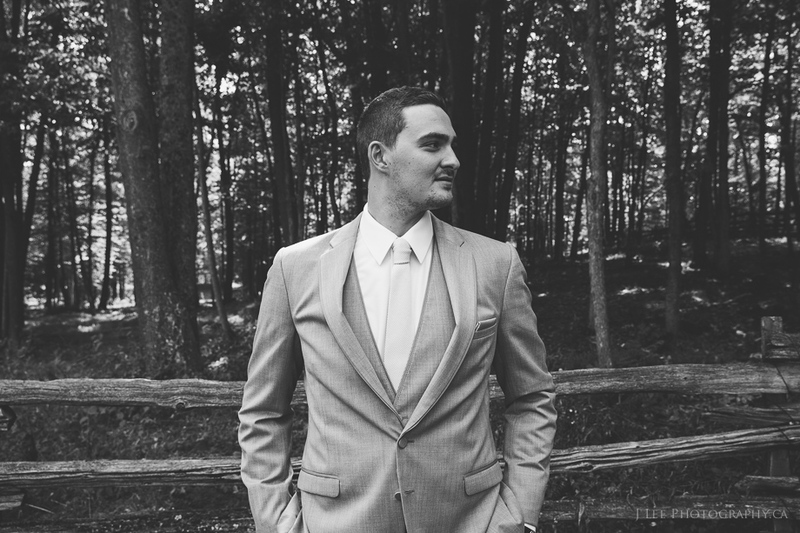 Here are some amazing photos of a wedding from the summer of 2015, featuring our Heather Grey Allure tuxedo. This slim fit, satin pipped, two-button, notch lapel tuxedo is a new modern essential in our collection. Nisbett's is creating positive social change in high schools this 2016 Prom season - affording equal opportunity to all students to look their best on their special night. For every 10 tuxedo or suit rentals, 1 rental will be donated to a deserving student. We invite you to share this initiative and help positively impact student peers in your community. A recent business case study of Gala Slacks; a quality pant manufacturer, located right in Toronto. 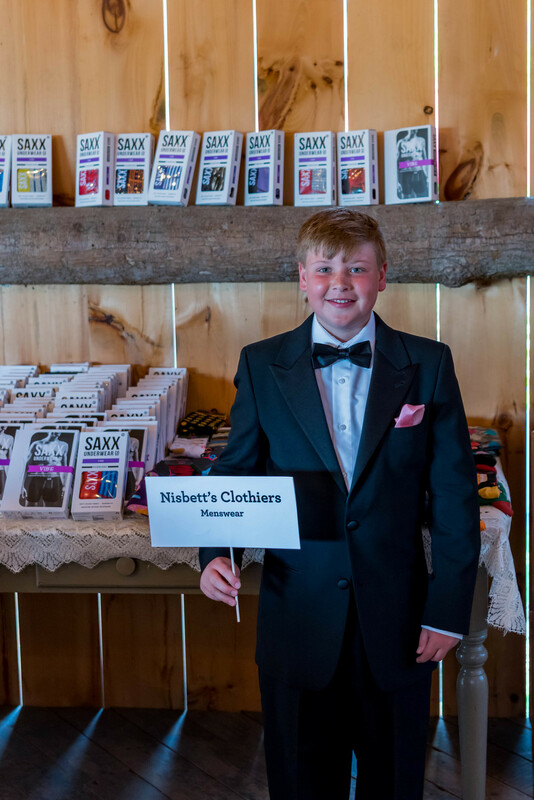 Nisbett's Clothiers are proud to carry Gala Slacks along with many other Canadian made products. One of our key focuses is to offer a variety of quality, domestically made clothing. We are honored to have received the 2016 award for Favorite Formalwear in the 2016 Readers' Select Awards. We have been working diligently to rebrand, and refresh our selection for this coming season! 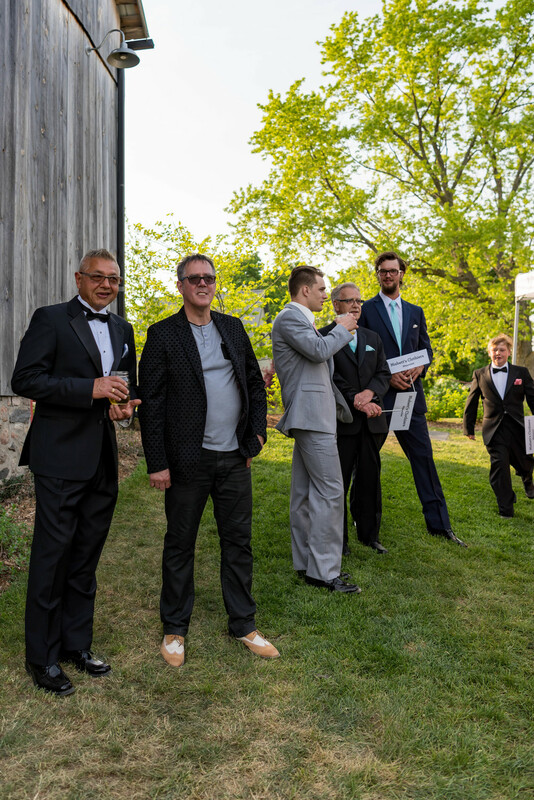 Being a full service clothier allows us to tailor to any wedding style; traditional, farm, destination, and casual weddings. Stay tuned for more updates and for the official press-release for the Readers' Select Award. Thank you to everyone in the community for your continued support! This change of hands will bring with it new collections and product offerings, a revived social media strategy, and a new perspective on traditional formal wear.